Characterizing Virgin Trains USA’s agreement offering safety upgrades while ending some longtime opposition as a good first step, state Sen. Debbie Mayfield said Tuesday that more is needed and she intends to keep pressure on the private railroad company seeking to extend passenger train service. 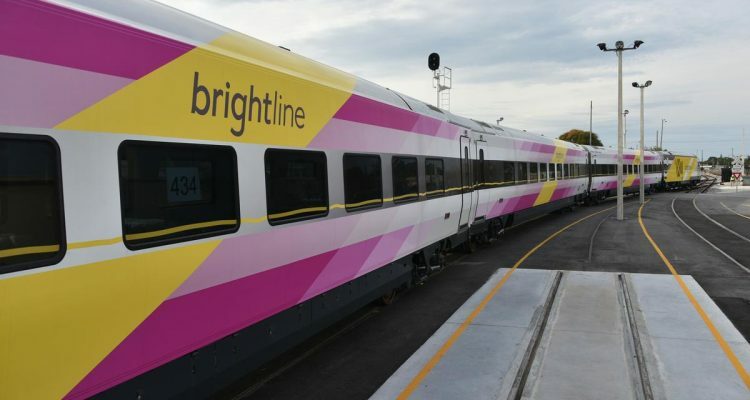 Over the weekend Virgin Trains USA, formerly known as Brightline, and before that formerly known as All Aboard Florida, reached a landmark deal with Martin County. The deal offers a long list of new safety assurances that county officials sought in exchange for Martin’s agreeing to withdraw opposition to the railroad’s plans to extend privately-operated passenger train service from South Florida through the Treasure Coast and Space Coast and northwestward into Orlando. That agreement signaled a bold new willingness for the railroad company, which just two weeks ago welcomed a large investment from the United Kingdom’s Virgin Trains founder Richard Branson, to address local safety issues ranging from enhanced safety gates to fencing and pedestrian bridges. 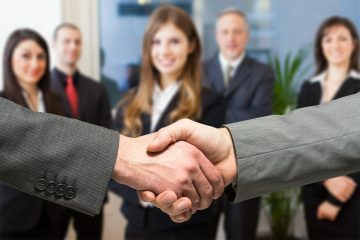 And to address them as more than just the company’s assurances that it would meet all the highest regulatory requirements. The deal also signaled that longstanding, fervent opponents were willing to step aside and let the train through. Citizens United Against Rail Expansion in Florida, the principal non-profit group opposing the rail expansion, also heralded the deal. “We commend Martin County and CARE for working with us on an agreement that will provide a much-needed travel alternative for visitors and tourists that offers economic and environmental benefits to the region,” read a Virgin Trains USA statement. Even before it got Branson’s money and rebranded to his Virgin Trains brand, the Florida higher-speed passenger train company also has recently purchased controlling interest in a proposed Las Vegas-to-California passenger train project, and bid for an Orlando-to-Tampa passenger train project. However Indian River County rejected a similar proposal last weekend. Indian River County Commission Chair Bob Solari said he and the commission were unconvinced the safety measures offered were sufficient, and he was uncomfortable with language that would have prevented the county from seeking any more assurances through Tallahassee or Washington. “I swore an oath when I took office to further the health, safety and welfare of the citizens of Indian River County and this agreement would have prevented us from fulfilling the spirit of that oath,” Solari said. And the train may yet face opposition from several key state and federal lawmakers, who have included former U.S. Rep. Ron DeSantis, now Florida’s governor-elect. 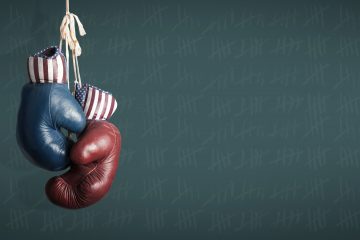 Mayfield, a Melbourne Republican, is a leader of a cadre of lawmakers along the Treasure Coast and Space Coast who have led the opposition in Tallahassee and Washington. She was the first to respond Tuesday to the Virgin Trains-Martin County agreement. Specifically, Mayfield and Republican state Rep. Erin Grall of Vero Beach have been pushing for the Florida Department of Transportation to accept regulatory authority over the project and seek safety assurances for trains that could peak at 11o mph through the Treasure Coast and Space Coast communities, and at 120 mph between Cocoa and Orlando. At those speeds the trains are not technically covered by federal high-speed passenger train rules, which cover trains that go at least 125 mph. Howegver, Brightline had pledged it would adhere to those rules. The trains also are not covered by any Florida regulations, because under outgoing Gov. Rick Scott the Florida Department of Transportation interpreted federal law as forbidding state regulation. That’s where Mayfield and Grall turned their attention, and Mayfield indicated Tuesday she’s not backing down. “I am pleased to see that Brightline is agreeing to install the additional safety measures in Martin County. However, these safety measures should be standard along all of their routes to protect citizens and visitors across the state of Florida,” Mayfield declared in a written statement Tuesday. “During the 2018 legislative session, I sponsored legislation that requested the Office of Program Policy Analysis and Government Accountability contract a third party consultant to examine all existing and planned passenger rail systems with regard to regulatory jurisdiction and safety,” she continued. “The Florida Passenger Rail System Study, that was conducted by CPCS Transcom Inc., revealed that the key issues they identified were the same issues addressed in the High Speed Passenger Rail Bill that I introduced last year. Specifically that the Florida Department of Transportation has the authority to provide oversight of safety regulations for the railroads. “I intend to file similar legislation again in the upcoming session to address the issues that were identified in the study,” Mayfield concluded. 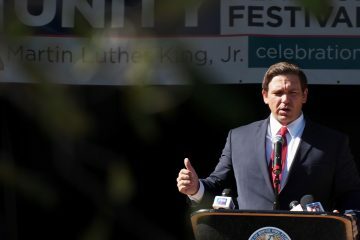 It’s not clear about how other previous political opponents including DeSantis stand now that the railroad is offering additional assurances, and that the company rebranded by Branson’s investment is winning over at least some former opponents along the Treasure Coast. 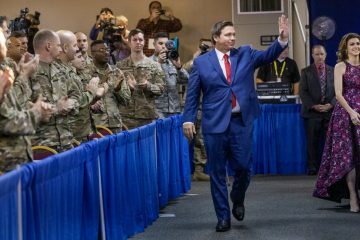 As a congressman, DeSantis signed a letter authored last spring by fellow Republican U.S. Reps. Brian Mast of Palm City and Bill Posey of Rockledge opposing Brightline’s use of federally authorized private activity bonds to finance its railroad projects. While that letter specifically focused on concerns that Brightline did not, in their view, qualify for the financing authorization, Mast and Posey in particular had been outspoken for years about safety concerns, and also about long-term railroad corridor maintenance costs to local communities. And they had rained stern criticism on Brightline and the Federal Railroad Administration over the financing deal during congressional hearings last spring.